If you’re looking for an additional way to monetize your site or even make money without a site or large following, this post is for you! More and more people are opting to learn new skills online through e-courses and online membership sites, so you might as well cash in on the income opportunity right? I’ve been selling courses (coupons are embedded in links on that page) on Udemy for a few months now so I thought I’d share my experience so far and what I’m going to be focusing on in 2015. Can you make money with Udemy without a following? That is a great idea, I have so many skills like web development, seo, sem, smm, smo, smm, etc but i am unable to find the desired job and this article has really helped, i will try it out. Thank you very much for sharing such a nice article. I created a single PDF ebook which was about alternative advertisement methods for publishers and I tried to sell it online but it was no luck. It took some time and effort to compile all the information and personal experiences but I was unlucky with the sells. I used PayPal to collect payments. I think online services do better job in selling stuff. Sites like Fiverr, CodeCanyon, Udemy and such. I have experience with Fiverr and CodeCanyon that proved to be good. Its better to use popular online services to sell your skills or stuff instead of trying to sell it yourself. Once you are successful on those networks then you can do it yourself. Anyways, nice article. One of the important lessons I learned in 2014 is that being transparent is one of the best things you can be as an internet marketer. I’ve been following you for years and have always admired your intelligence and skills. What attracts me to you the most is your honesty. So many people like to blow up their earnings or anything that has their name on it. You are always humble and ever so helpful! You have been growing your courses on Udemy. I just took a peek and didn’t know you had that many, so happy for you. I know some people who hate Udemy because they feel they don’t have complete control over the course cost (too many frequent sales) and they don’t get the full price of every sale, but to each his own. I’ve been wanting to create a graphics course for new internet marketers who don’t have a creative bone in their body, but I’ve been apprehensive due to having to build the site, host and distribute the courses, set up payment, which are the easy parts. To me, the hardest part is selling and advertising. Udemy seems to help make that easier. I think we each have to find what works for us in regards to sharing and helping others. I truly think you’ve found your spot in the sun. Just signed up for your Powerpoint course for making ebooks and PDFs. Wishing you even greater success in 2015 and looking forward to all you have to share. Thanks Lisa! Great to hear from you! Yes there are certainly pluses and minuses to Udemy but I have no regrets. I just like that you can always choose to sell them from your own site if you wish. The ease of it all is what steered me toward Udemy. I kept stalling when it came to setting things up on my site an then I couldn’t get the plugin the way I wanted, etc. Hey Lisa! Great to finally listen to that podcast. Thank you so much for the name checks! Wow! Hi Lisa. I haven’t listened to your podcast for a while but I found this one of the most interesting ones so far. I know on your forum early last year you hinted that you were going to start a paid membership with video courses – obviously you decided to go with Udemy because it was easier to set up. Right now I’m planning on launching a ‘productised service’ – wordpress installation, custom design, SEO and a ton of other services packaged up into an inexpensive deal, as an alternative to my traditional consulting service for time-poor customers who’d just like to buy knowing what’s in the deal and how much it costs with minimal negotiation. I’m thinking of doing it as a WSO – what are your thoughts on this platform? I also think I should release some informational products for people who’d rather take the DIY route, and I’ll definitely consider Udemy as a platform. I don’t think I would have even considered using Udemy before listening to your podcast (not sure why) so thanks for bringing it to my attention. Wow I didn’t even know that existed. I have a decent blog with some pretty good traffic and I have been trying to find a good way to monetize it besides adsense. I will be giving these courses a try. Thanks for the tip. Hi Lisa, Great Podcast. (I read the pdf). I have also been thinking about running courses on Udemy but decided to start with my own site instead. Like you I did not want to burden my high-traffic site (40plusstyle.com) too much with logins etc, so I setup a new site especially for courses. I bought a special theme and the aim is to use if or all my future courses. It has all the functionality of a Learning Management System. I’m launching my first course as a live challenge in 2 weeks time. It has an affiliate programme as well if you are interested in promoting it 🙂 Also, if all goes well, I will open it up to other course creators as well. Perhaps you could do a course on natural hair? If you like to discuss any of these or compare notes as to see what works, I would be very happy to! If time permits, I may try Udemy after this as well…. As you say, it may be very good to do a course on a different topic from my website. Hey Sylvia, I did consider hosting them on a separate domain. I’d really like to know how the process works out for you so please keep me posted! Good luck. This is so funny…whenever I come across something new, I check to see what YOU say about it! I had seen Udemy before I think (probably from you!) and then I just came across it again. I have a wordpress site with wishlist member and have been trying to do a class on it and it keeps crashing no matter what I do and the tech guys say its plugin conflicts but I think it is bots too- I get thousands of spam comments. The site is over 12 years old if that matters – I don’t know. I haven’t been able to figure out the plugin issue but am lacking in the technical skills to figure it out…so was looking for other options and I think this sounds like it will work! Thanks so much for always trying new things and being up on this stuff! I never heard of Udemy before, I’m glad i found this helpful information. I enjoyed your podcast aswell. I really enjoyed this podcast. Inspiring! Thank you. This is one of the best way to earn money online. I did the same thing long back. Once I provided an online training and during that time I have recorded those videos. Later I sold those videos to may people instead providing the same training again and again. Interesting to hear you’re wanting to deepen your knowledge of graphic design. Semiotics and theory is the most important part of design IMO, with the execution and skill coming second. I studied graphic design as a student and loved it. It appealed to my analytical tendencies. Believe it or not, I’m not brilliant in Photoshop either but have been improving my skills. I think Illustrator is the big one you want to learn. Get the hang on the pen tool and vector paths and it opens up your world so much more. Your graphics tablet could come in handy for the pen tool. Using the mouse is very fiddly. Yeah I already use it in Photoshop on many of my shirts to draw/add hair, color things in, etc. It’s soooooooooooo useful because I can be more precise. I’m using that tablet far more than I ever thought I would now. But I want to do more with precise arcs, etc. and I know the pen tool will help with that. I just finished listening to your podcast and the part that really got my attention is the fact you said you have been having a lot of issues with WordPress and spam bots. Does this mean you are getting hacked? A few months ago I have read one of your post entitled “Making Your WordPress Site More Secure” and thought I could fallow that post and everything would be fine for me. I am very interested in this issue because I have the intention to move from Blogger to WordPress next month and I am a total newbie to WordPress. Can you please answer me back with more details on the issues you are having or make your next post about that subject. No, thankfully. Big difference. They are not getting into my server or anything but they are bogging it down by attempting to login over and over again. It’s comment spambots. You should see my spam folder. It feels up in one day. This slows down my server to a halt sometimes and I’m on dedicated meaning I’m not sharing my server with anyone else. This is very common for blogs on this topic. So I’ve had to employ different things to try to block some of that traffic coming into the server. It’s simply a traffic overload from automated bots. Thank you — to the point…. I appreciate the non rah rah mode and straight shooting. Hey there Lisa! Fantastic episode. I’m riding the Udemy train too. Finally turned my free course into a paid course a few days ago. Rob has been my Udemy mentor too! He also has some great Kindle books that inspired me to start creating courses. My favorite thing about Skillfeed is that we can upload existing YouTube videos there as well. Since the students have already paid their subscription fee, it’s more a matter of discovery on Skillfeed where there is less competition and no distractions. Hello there Ileane. Yes, I think Skillfeed is a great place to put some of your short YouTube videos – Lisa could do that too? Glad to be influencing people. You’re making me sound real influential lol! I really enjoyed your affiliate marketing course. You’re a natural teacher. I gifted myself a copy of Photoshop over the holidays so I’ll be taking your course on that as well. Great podcast Lisa. Sounds like your courses are doing very good. I agree it isn’t necessary to run ads for selling on Udemy. I get consistent sales there and haven’t ever run ads on my courses. If your running campaigns to your other courses from within Udemy, a tip is to run them during the middle of the month. Udemy usually runs its own campaigns at the beginning and end of each month. By running your campaign mid month, you avoiding any conflicts with an ongoing Udemy campaign. Such a coincidence you sent this out today. I just posted on nearly the same topic: http://www.bitesizebschool.com/bbs-videocast-06/. Hey Brett! I’ve seen you around the marketplace and looks like you’re doing well. Will have to check out your article. Oh and I forgot to say “thanks” for the tip on cross promoting. I haven’t done too much of that yet. I’m really looking forward to testing that out on related courses. Right now my courses are somewhat related but not so much. So I’m looking forward to seeing how the cross promo works when I have courses that are more closely related. No problem Lisa. It’s great when you have related courses because the cross promotion is likely to work very well. But I have some disparate courses and still give it a try. I only do this to see if there might be some people in these other courses who are interested in an unrelated topic. I pick up a few sales this way that I wouldn’t otherwise have gotten. I don’t do that often though since I am also promoting to people who are not interested in an unrelated course. As a side note, when I run the initial promotion, I always put a time limit on it. Something around 5 days or so. Then on the final day of the promo, I send another reminder email and that brings in more sales. 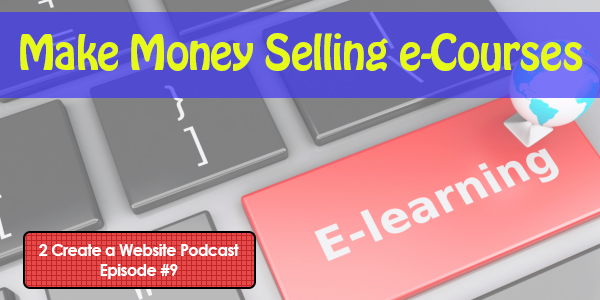 Udemy allows for two sales promotions per month. That’s why I use this two step technique. I also make use of Udemy’s exclusion rules in my promotions. If you haven’t explored those yet, it’s great for promoting ProductC to people that have only purchased products A & B or maybe just ProductC. This way to you don’t blast people that may not at all be interested or have already purchased the product your are promoting. A wealth of info Brett! Thank you! I’ve been seriously considering Udemy, but I’ve had a hard time wrapping my head around giving up 50-75% of the income. I might be able to finally agree to that, ’cause as you said, those are students you probably wouldn’t have gotten otherwise. But what about Udemy giving away all these 50-75% discounts? So, if they advertise your $100 course, you would get $25. But if the student uses a 75% coupon, then you only get about $6. Ouch! Now, many of Udemy’s successful instructors say to never look at what you’re getting per student – just look at your total monthly income from Udemy. The money is in the volume of sales. But the heavy discounting really bothers me. Many business mentors say it’s better to charge a few people a high price than it is to compete with low prices and need to find tons more buyers to make a living. It doesn’t take long for any Udemy student to realize it’s stupid to pay full retail price for a course. I think it depends on your expectations and goals AND it depends on the source of your sales. I went into this understanding how Udemy works so I knew what to expect and what I wanted to earn. It would take a LOT to make a full time living off the Udemy marketplace alone b/c you are giving away 50%. I read a case study of a woman who drives 85% of her sales from her own list and gets a lot of new subscribers daily. So she’s making most of her money from her sales and the organic sales from Udemy are just bonuses. She sets the coupon price for what she wants to earn per sale and prices UP for the marketplace. But I hear what you’re saying. I wrestled with this too but I went into this knowing about the Udemy culture and only use discounts on my site anyway. I have a good feel for my audience now and even though my course is worth every bit of $99, I would not have sold many courses at that price. Again those Udemy-referred sales are sales you would have never had. I will probably eventually offer them on my site at some point. I don’t think there’s anything wrong with doing both. I love your success on Udemy. I first learned about it several years ago but haven’t taken it seriously until just recently. I’ve been working on creating a course, and I think it’s a great platform considering the number of users they have plus the minimal number of courses. And good luck with your learning! I’m glad you’re teaching it to us because I can never get that stuff. You better believe I’ll be teaching ya! 🙂 Thanks Daniel. hi Lisa , am very delighted in seeing your site,i have been searching for someone who is more inspiring like you but i have not.i thank my stars for this day of seeing you.i love u ,i like you ,i like every tin you do keep it up ,you know what God should bless you sooo much for your work in fact am even short of words.This teachings can cost me several but u took nothing frm me yet i knw all that i wanted to go to school for.Thank you very much.pls visit my word press site i just created be-cos of u and help me if there is anything i have to add up.its whatawaaw.wordpress.com.LOVE U LISA.BYE!!!!!!!!!!!!!! !